Heavy-duty personified, this truck is ‘real steel’ when you have to get tough jobs done. Whether it is projector-beam headlamps with HID bulbs, LED signature front lighting or Available Amber Roof Marker Lamps, everything projects its image of a powerful truck. 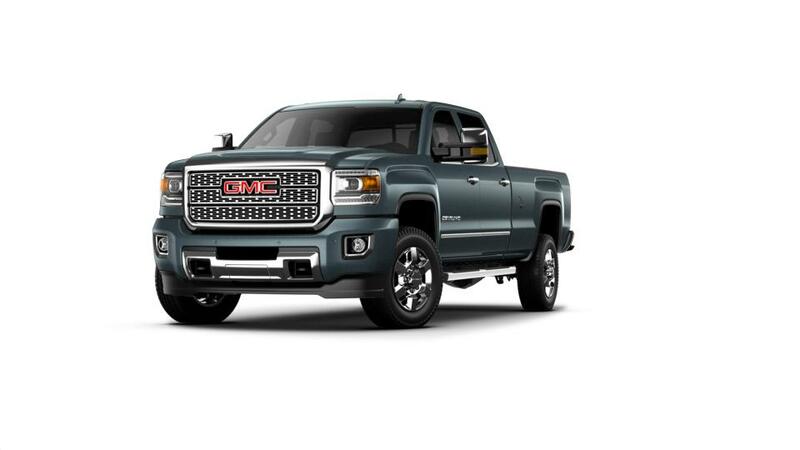 Simple, yet powerful, the new GMC Sierra 3500HD, offered in Manassas, is distinct with a high-strength steel exterior and has managed to make a mark with its lustrous perforated leather-appointed front seat interior. Its trailering and hauling capabilities can turn any workday into a cake walk. The new GMC Sierra 3500HD, available in Manassas, enables you to control heavy roads with a host of features, like Stabilitrak with Hill Start Assist, Trailer Sway Control and Traction Control, front and rear park assist, and more. Despite all this, it has a very quiet cabin, owing to triple door seals that block outside noise. Our dealership presents an extensive inventory of new GMC Sierra 3500HD in Manassas. We look forward to seeing you soon!